When handling a membrane switch it is imperative that you follow the correct procedures to avoid damage to the circuit, membrane tail, LEDs and dome keys. Read the complete article. 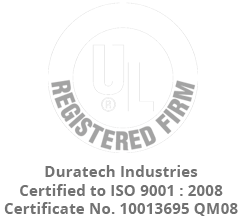 DuraTech Industries will be at the Fall Career Connection at UW Madison. DuraTech Industries will be at the Fall Career Connection at UW Madison. Stop in from 11:00 - 5:00 September 29 Varsity Hall, Union South. Open to UW-Madison students and alumni.